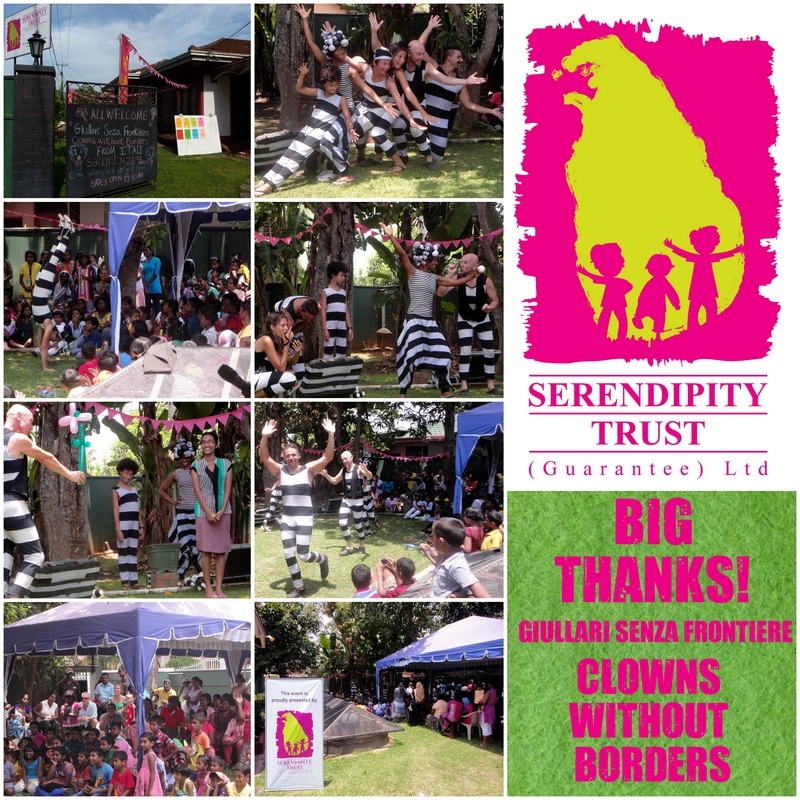 Giullari Senza Frontiere in partnership with Serendipity Trust (Guarantee) Ltd invited our neighbours, their families & friends to enjoy a very special (and hilarious!) performance by Giullari Senza Frontiere from Italy. 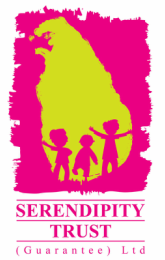 This group travelled around Sri Lanka for three months in early 2014 performing in villages, schools, bus stands, train stations, community centres and even prisons! We were honoured to have them perform as the finale to our Avurudu (Sinhala Tamil New Year) Children's Party. The garden was full of squeals and laughs throughout the fantastic show.